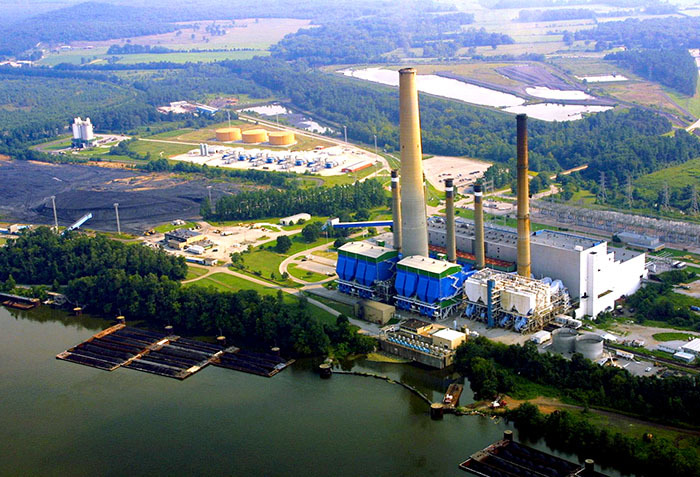 The Tennessee Valley Authority's Colbert Fossil Plant, located on Pickwick Reservoir in Colbert County, contains five coal-burning generators that produce nearly 8 billion kilowatt hours per year. The generators consume approximately 9,000 tons of coal per day. Courtesy of The Huntsville Times. All rights reserved. Used with permission.